Web Based Unified Messaging | 8x8, Inc.
Are you interested in web based unified messaging for your business? When you set up VoIP communications, web-based unified messaging gives you total control. With company-wide access, you can streamline communications. And, your teams will have more effective collaboration tools which increase productivity and workflows. With one central hub for messaging, voice, and meetings you can scale your organization no matter where you are in the world. Here's how unified messaging can provide better collaborations for your staff on all their devices. And, why integrating unified messaging solutions can help you scale real-time communications. A study found that 85 percent of employees used more than one communication device at work. And, 32 percent of employees used 3 or more devices at a time. That leaves a lot of room for errors and miscommunications. But, unified messaging can fix that. Unified messaging integrates your internet and phone on one network. It's an enhanced software solution that helps with voicemail, faxes, and emails. Your staff can access all their data through one seamless system. And, you're using an advanced communications system that can scale and grow based on your particular business needs. Unified messaging uses unified communications as a service (UCaaS). It simplifies how your employees collaborate and communicate. UCaaS lets employers simplify communications with VoIP technology. When communications are cloud-based, they're faster and more reliable. VoIP provides a cost-savings communications solution you can integrate throughout your entire enterprise. This includes video, voice, messaging, and conferencing. By having one unified system, you eliminate the need for syncing messages and missing important emails or faxes. 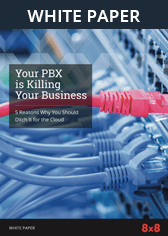 You're using advanced VoIP technologies that use your digital connection. You don't have to worry about antiquated public switch telephone networks (PSTN) with copper landlines. When you use a unified messaging system, there are several helpful communications features. Web-based voice messaging lets you create custom greetings. You can add hold music or play special messages when callers are holding. You can add a special message if customers or clients call after-hours. Other features include leaving messages for multiple recipients with one phone call. With call forwarding, you can forward voice messages as emails. With web-based emails, you can receive emails, fax, and voicemails in your inbox. You can listen to voicemails or read them as text messages. You can reply to email messages with your audio attachments. With faxes, you can receive them anywhere and have them redirected to print out on adjacent fax machines. You can review fax time logs and sender information. You can forward faxes to others as attachments. Notifications can alert you when a fax has arrived. With a single number reach, you can give out one number that's associated with your work, cell, and home numbers. It makes it easy to dial just one phone number and reach another person on all their phone numbers. You can accept your incoming calls or directly transfer them to voicemail. You can set number reaches for blocking out holidays, weekends, and after-hours. 97 percent of employees believe communications affect how they work. When your teams have effective communication tools, this can increase productivity. Your staff will be more responsible with metrics, KPIs, and goal setting. And, they see themselves as stakeholders. Let 8x8 help you provide your employees with the communication tools they need to succeed. Unified messaging features can enable your entire enterprise to stay connected on all their devices. Streamlined functionality ensures your employees can communicate in the fastest manner without delays. One application for emails, voice, faxes, text messaging, and meetings. A global directory of all your employees. Collaborate with other businesses, customers, clients, and partners with your messaging platform. Set up communications for 10 to 10,000 employees or more. Use APIs for bot development support. Team chats can improve cohesion and workflow progress. Your unified messaging keeps all message types in one system. With mobile integration software, you can work remotely and still collaborate with your team members. Settings exist for public and private chats. When your organization has effective communication tools, you can increase productivity and workflows. And, VoIP is a cost-saving tool for businesses to help you reach your bottom line. With VoIP, UCaaS, and unified messaging, you can use cloud-based communications throughout your business. And, whether you have a small, medium, or enterprise business, 8x8 is here to help.